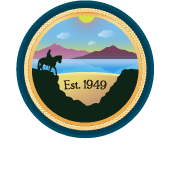 Here is a listing of the Home Owner Associations (HOAs) in the Sweetwater Valley. We are in the process of trying to collect contact information for most of the associations. If you belong to one of these HOAs and would like your information listed, please contact us. Represents residential lots located in the community of Bonita Bluffs. Our neighborhood consists of 667 homes situated just off Central Avenue in the unincorporated area of San Diego County know as Bonita, California. Our subdivision starts approximately one mile past the Bonita/Sunnyside Post Office at Central Avenue and Bonita Road. Ames Ranch Estates Is a collection of 32 semi-custom homes on estate sized lots located in old Bonita. The thirty two homes are located on two cul-de-sacs.